THE SCENE: Recently, The Society Diaries’ Senior Social Editor Rob Giardinelli was the guest of honor at a book signing event at Estilo boutique in Austin. The glam event was hosted by Stephanie O’Neill, Cassandra King Polidori and Kirstin Ross. The new book, Being In The Room, offers 25 simple life lessons that he’s learned during his seven years as a social chronicler for the magazine. The event brought out VIPs and Sociables eager to know more about the intrigue about what happens behind the scenes of these charity events. THE VIBE: The summer chic crowd wore a mix of summer whites and bright bold colors. 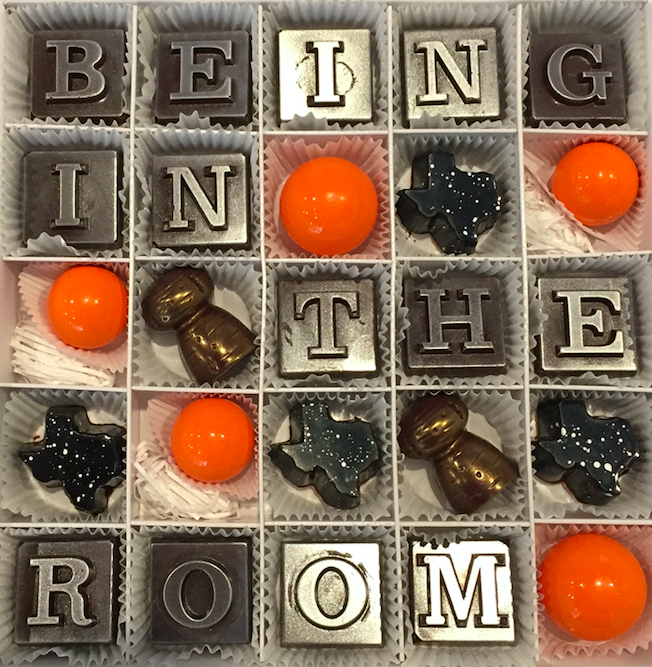 Prosecco and sparkling water flowed freely courtesy of Chloe Wines and Sway Water, while Maggie Louise Confections provided delicious, custom chocolates in imaginative shapes such as champagne corks and the state of Texas. The event included a conversation with the author as Estilo proprietor O’Neill moderated the discussion where Rob Giardinelli shared anecdotes and musings about his experiences in Austin, Texas and beyond. For more information visit Amazon.com or EnrichCoach.com to order the book today.